Ford was in news recently for the automatic version of Ford Fiesta sedan and then for the low priced edition of the same. Ford cars are in news again. This time it is the Ford Figo hatchback that is in buzz. A designer Ford Figo was displayed at the P2BK (Proud to be Kuwaiti) exhibition held in Kuwait. As per reports there were four such designer Ford Figos displayed at the exhibition. Notably, the Ford hatchback has been among some of the most successful Ford cars in India and across globe wherever it is available. 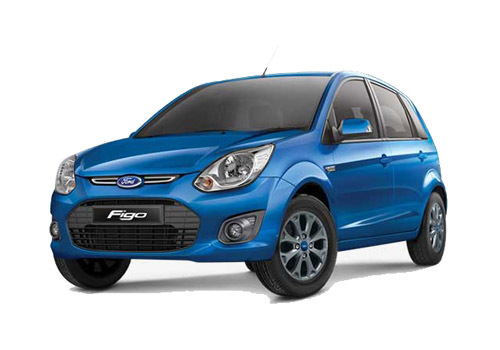 Despite being a small car, Figo hatchback has ample space and is attractively priced at Rs 3.74 lakh. The P2BK exhibition where Ford cars were displayed aims at giving a platform to young entrepreneurs and amateurs so that they get an exposure necessary for their future pursuits. The designer who has worked on the Ford Figo is Ahmed Al-Rashid. He has designed four Figo cars and each car is a masterpiece in itself. Besides giving different design to the exterior painting, Al Rashid has tried to make Ford cars as colorful as possible. The exhibition organized by a non-profit organization working there also exhibited the works of several talented youths and there were companies visiting the event. Thus it gave the much required exposure to the hidden talents. Experts believe that why Al Rashid chose to paint the Ford Figo is that it is also a very popular car there and is sold in decent numbers. Being a small car, the Figo has easily settled there. Back in India, the Ford has been pretty busy in updating its portfolio and preparing for the more to come such as the Ford Ecosport SUV. Besides, the American car maker has just launched the Fiesta AT and also a much needed low priced entry level Fiesta.